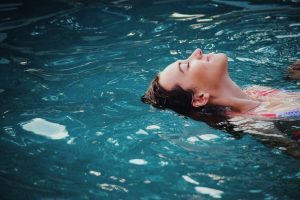 Aquatic Therapy is an excellent complement to Physical Therapy, allowing earlier weight bearing on an injury and added support during exercise. Early weight bearing in the water can improve the healing process, which helps the physical therapist get you back to doing what you love, even faster! The pool provides buoyancy and a controlled environment, allowing the patient to perform exercises without pain. Exercises utilizing smooth movement patterns in a supported, aquatic environment are effective for rehab of both upper and lower extremity injuries. Aquatic Therapy can create improved flexibility, greater range of motion and increased strength, while at the same time, it can prevent any excessive joint compression or abnormal forces the patient might incur with regular exercises. Aquatic Therapy is performed by many of our skilled therapists as part of a complete rehab program.